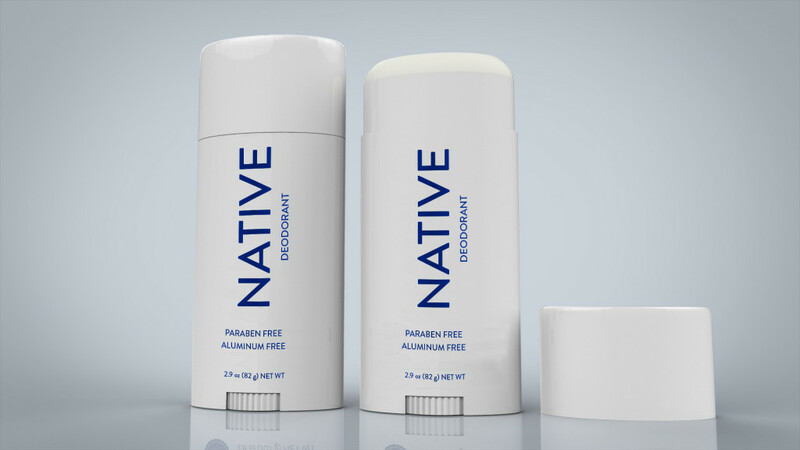 Native Deodorant was unanimously chosen as the best deodorant we tested! We applied it in the morning and made it through the entire day odor-free – even on workout days! In fact, we never got even so much as a whiff of any odor coming from our underarms. Native also kept us really dry all day long – something that a lot of other deodorants failed to do. Similarly, Native was really easy to apply, and we loved that it came in stick form. More importantly, Native is made with natural ingredients, like shea butter and jojoba oil. It doesn’t contain any aluminum or parabens. Aluminum in antiperspirants has been linked to breast cancer, so it was an ingredient that we tried to avoid religiously. Finally, we love all the great reviews (over 2000) that Native has earned. The deodorant comes in a few different scents, including Unscented, Eucalyptus & Mint, Lavender & Rose, and Coconut & Vanilla. Our favorites were the Eucalyptus & Mint, followed by Coconut & Vanilla. EDIT: Get 10% off any purchase of Native Deodorant over $15. Use coupon code HEALTH10. Nature’s Gate Herbal Blend was the runner-up in our tests. Not many people have heard of Nature’s Gate, even though it’s available in a lot of stores. I picked up the tea tree scent, which smelled great when I applied it. That said, the scent faded really fast, and so I also thought I needed a touchup before the day was over with Nature’s Gate. The deodorant is aluminum and paraben-free (like all the others mentioned here). I like how it applies and love the scent of tea tree, even if it fades fast. I love the Burt’s Bees brand, and I always carry Burt’s Bees lip balm everywhere I go. That said, I found the deodorant to be only moderately more effective than Tom’s. 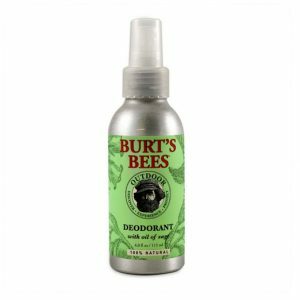 While Burt’s Bees is easy to apply (it is a spray) and goes on completely clear, it does little to prevent odors and nothing to prevent wetness. In addition, I’m not in love with the spray format. Still, I appreciate the brand and their lip balm, so rock on Burt :). If you’ve never used Crystal, it’s an interesting experience. 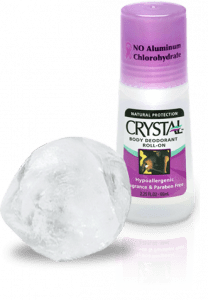 Crystal Deodorant isn’t a traditional deodorant spray or stick – it’s actually a mineral rock made of a crystal. As a result, you have to run the stick under water and get it wet in order to apply it. Once you’re done applying it, you have to shake the crystal off and store it upside down so you don’t melt the deodorant while it rests. I also found that it could leave streaks on my clothing, which was surprising to me since it’s clear itself. Despite the application issues, Crystal does a good job preventing odors, and the stick itself lasts a long time so I think it’s a good value. Editor’s Note: They are offering a $1 coupon on their page. Tom’s Deodorant has been the benchmark of natural deodorants for years. That said, you have to be careful – Tom’s makes a deodorant with aluminum and a deodorant without aluminum, so make sure you read the label before purchasing. Tom’s has been making healthy products for years, and I use their toothpaste religiously. I used Tom’s Wild Lavender Deodorant, which smells amazing. That said, I felt like it did nothing to prevent odors or wetness. In the case of natural deodorants, it turns out that experience doesn’t mean you have a better product. Editor’s Note They are also offering a 50 cents coupon off the product now. I love Native Deodorant! Have been using it for almost 4 months now, and it’s awesome! Native rocks. 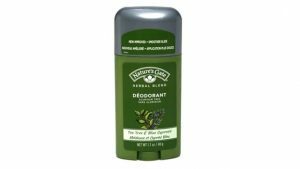 First natural deodorant that worked for me!